Just because you may have lost one hour springing forward, doesn’t mean you have to start your week without being up-to-date on the latest social media news. Facebook Changing How it Counts Page Likes: Facebook will change the like amounts on many pages by removing likes from inactive accounts. Specifically, Facebook will be removing likes from memorialized and voluntarily deactivated accounts. Facebook is making this change to remain consistent with their practice of removing post likes from memorialized and voluntarily deactivated accounts. Instagram Introduces Carousel: Instagram has introduced carousel ads, a new type of ad for brands. Carousel ads showcase multiple images as one story with a final call-to-action to learn more. A carousel ad appears like a typical sponsored image but allow users to interact with the view a story in its entirety by scrolling left to see the rest of the image series. 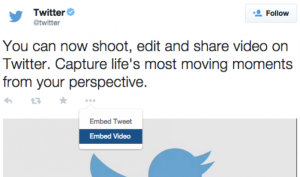 Twitter Launches Embedded Video Widget: Twitter newly released embedded video widget makes it possible to highlight videos uploaded to Twitter on a user’s website. 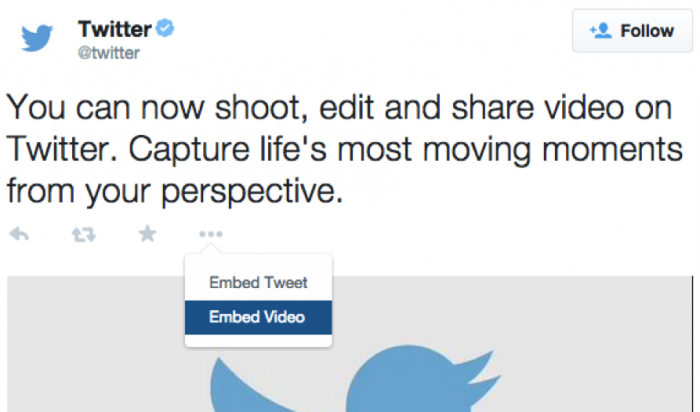 To embed a video, users need to click on the ellipsis (…) in a Tweet, select “Embed Video, copy and paste the HTML generated for that video. Once pasted onto a webpage, the video will play for viewers and shows the original tweet along with Twitter’s logo.